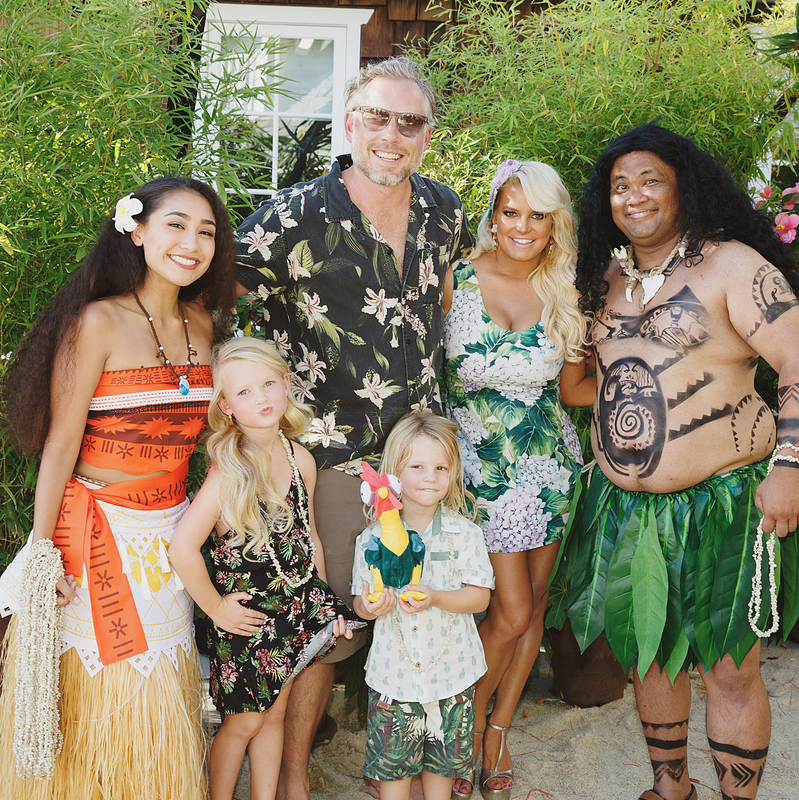 Jessica Simpson Throws Ace Moana-Themed Birthday Party: Photos! Jessica Simpson Throws Son Ace Moana-Themed Birthday Party: Photos! Did they have a sing-along? Jessica Simpson and Eric Johnson celebrated their son Ace’s 4th birthday with a Moana-themed bash over the weekend. The backyard celebration included a bounce house, personalized toy sacks for attendees and actors who dressed as characters Moana and Maui from the Disney animated movie. The family — including the couple’s daughter Maxwell, 5 — posed for several photos together. They were joined by famous pals such as Dave and Odette Annable and their 22-month-old daughter Charlie. “What a way for Ace to end his birthday! Thank you @my1styears for helping him send off all of his friends with a personalized surprise,” Simpson, 36, captioned a pic of Ace surrounded by goodie bags for guests. The fashion designer tends to go all out for her kids. In May, she and Johnson, who wed in 2014, threw a mermaid-inspired blowout for Maxi’s 5th birthday party. “My baby Maxwell is 5 years old today. She makes everyone’s life mermaid magical. Happy Birthday to our fairytale princess. Mommy, Daddy, and Ace love you with our “holy hearts” (as Max would say),” Simpson captioned a photo of the foursome on May 1.